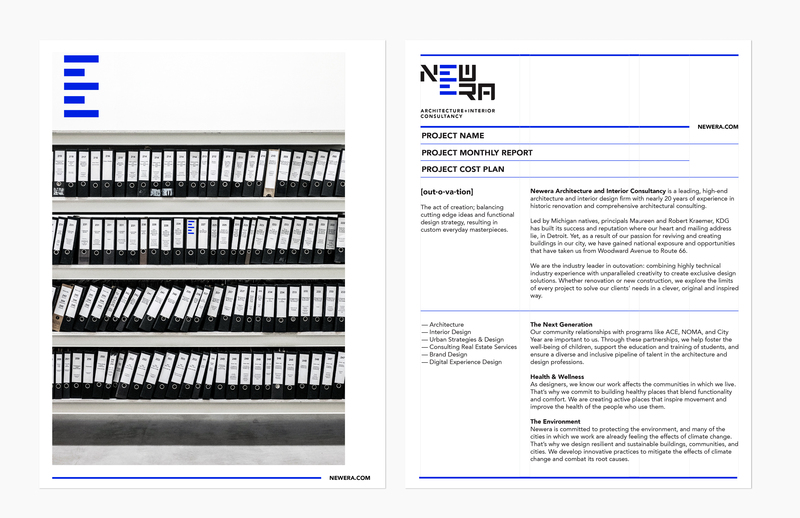 Newera is an Interior and architecture firm located in Shenzhen, China. They offer an integrated strategy and develop an innovative architecture that interprets a modern vision of buildings focusing on materials and technology. After more than twenty years of experience and with projects both nationally and internationally and always seek perfection, the studio needed to update its identity in order to highlight its evolution and its multi-disciplinary approach. To achieve this, I set the geometry-based letterforms in two layers and highlight the letter “E” in bold blue that could be seen as a tick mark to capture the firm’s energetic and precise spirit. 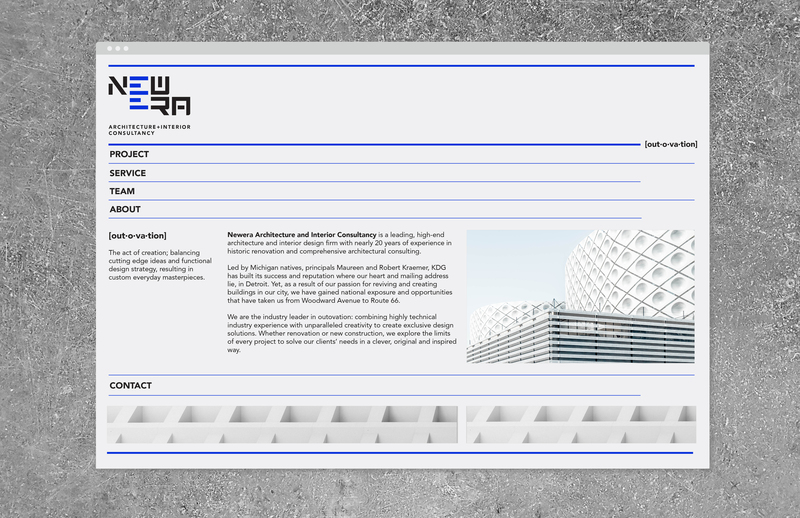 For stationary and web, the studied grid helps the composition and arrangement of the texts, achieving together to transmit an image of solidity and confidence for a firm with a great past but with a clear intention to set its sight on the future.